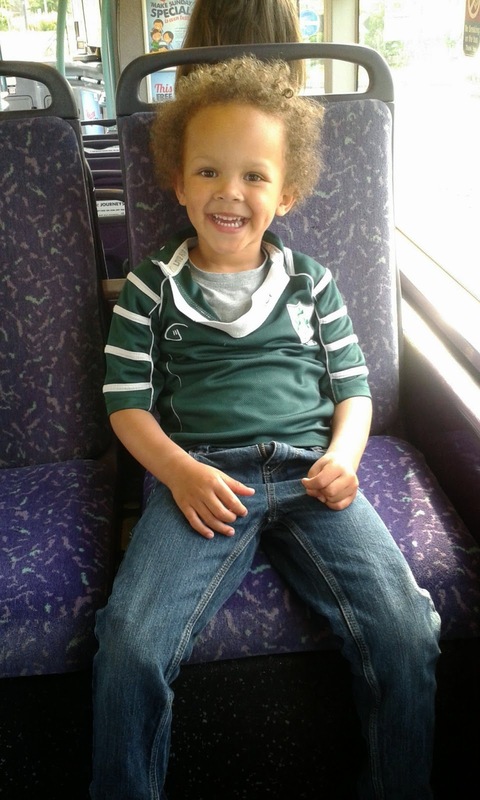 But it will say "son I love you dear"
That pic was him tonight on the bus home - butter wouldn't melt! Aww! You're right butter wouldn't melt....So adorable! Hugs to you! Sounds like you need them! Your poems when you have days like that are SUPERB m'lady. I feel for you, my two whine and moan at me too so I just keep them as busy as I can! Could have been written by my Mum since I was a nightmare as a kid. She needed a medal I think. Probably not as bad as when I was a teenager though so it kind of puts you in training for that I think. Very nicely written indeed. he is gorgeous! great poem... toddlers can be hard work! That just about sums up being Mother. Whoever said parenthood was easy had no clue about anything! Really enjoyed this. I get the 'too close to 40' I was 40 when I had my son but I think it gave me patience. Fingers crossed a better day was had today.